Look at this ADORABLE card by Jocelyn Olson! 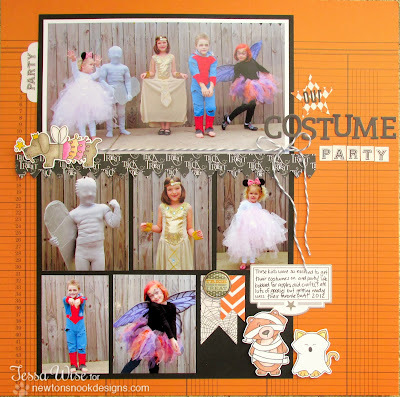 I really love how she combined two sets I never would have thought of using together to create this fun little scene! She took the snuggling kitties from our Newton's Antics set and combined them with the wizards hat from the Magical Dreams set. Then she added cute row of hearts! 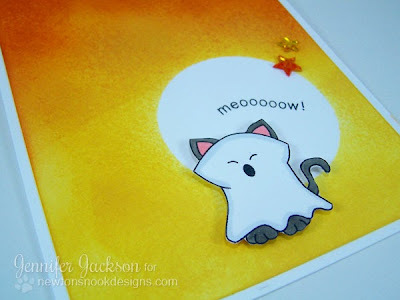 I just adore this card! Wouldn't it make a cute Valentine? 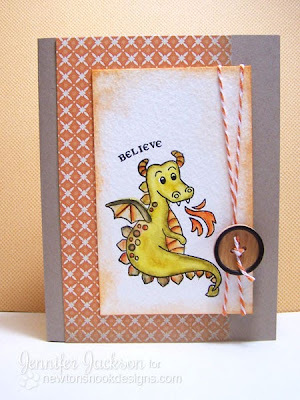 Make sure to head over to Jocelyn's blog Red Ballon Cards today to say hello and tell her what you think of her card! We hope you'll play along! 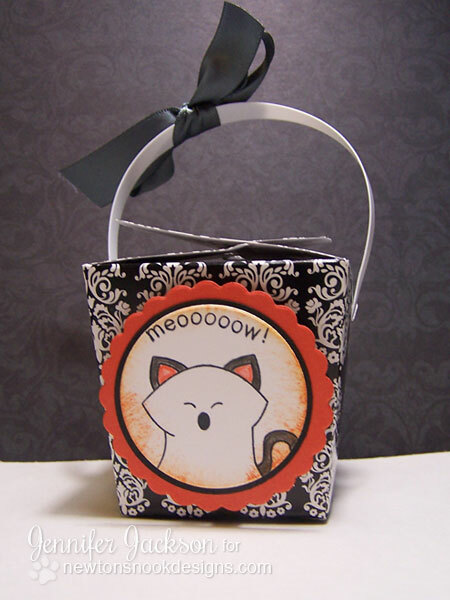 You have until Friday, Oct 4 to play along with the sketch on our Inky Paws challenge for a chance to win a prize! If you don't have a stamp set yet, no problem, there is a digital freebie on the our first challenge page for you to use! Do you know what CAS stamping is? 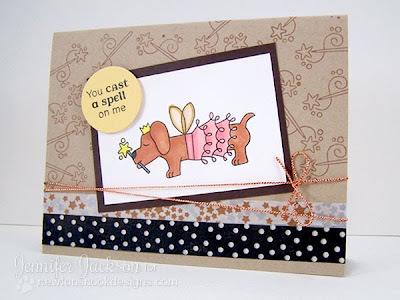 Have you noticed bloggers using the term "CAS" to describe their cards? Do you know what that means? The acronym stands for "Clean And Simple". Basically it refers to cards that are simple - use lots of white space with minimal layers and embellishments. They are uncluttered and have a clean design! Are you a CAS stamper? Several of the girls on our Design Team are great at making CAS cards. I'm usually somewhere in between - but I'm starting to skew a little towards it. I recently created this card using the wizard from our Magical Dreams stamp set that I think fits the definition. 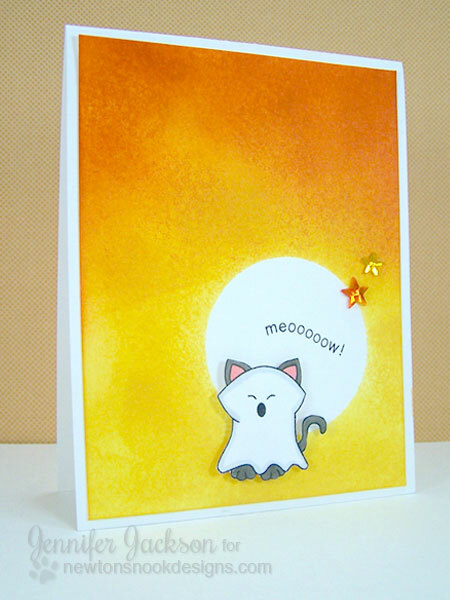 It was hard for me not to add more to this card - I mean, look at all that white space! I wasn't sure I liked how simple it was - but I decided to leave it alone and it's definitely growing on me. The nice thing about CAS cards is that they really showcase the stamps! Your eye is immediately drawn to this cute little wizard! Plus there is some great sparkle on the left side - I used some glitter covered paper and a row of sequins - which really adds to the card without complicating it! What style of card-maker are you? I'd love to hear what you think about the CAS style! 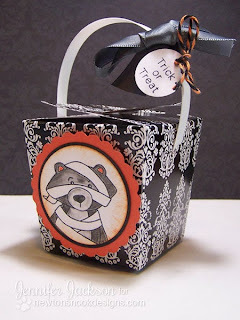 Cupcake liners - not just for cupcakes! 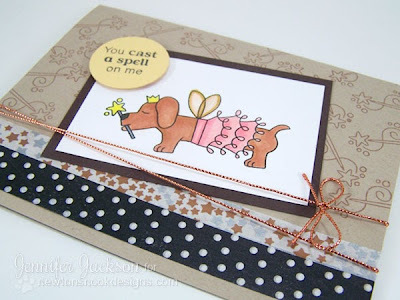 Have you tried using a cupcake liner on a card? 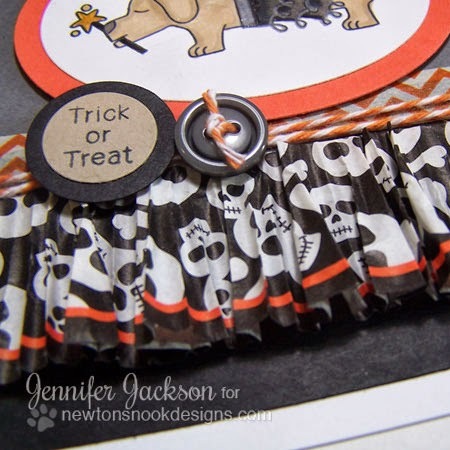 I've been wanting to try this for ages and when I saw these cute little cupcake liners with skulls and bones on them, I knew they'd go perfect with the little Halloween doxie wearing the tutu from the Boo Crew set! I just cut the center out of the liner and then adhered it to the card with some adhesive tape. Isn't it cute? I like how it mirrors the ruffles on the puppies costume! To finish the card I added some cute embellishments - bakers twine, a button, some washi tape, and of course, some glitter pen on the ruffles of the tutu! Don't you just love Halloween? Eeek! This is SERIOUSLY cute! 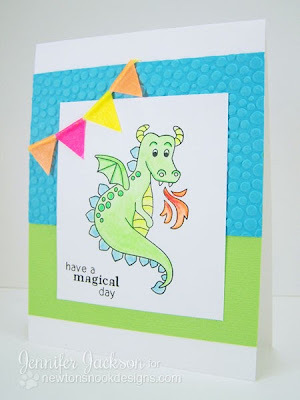 I am so excited to share this super cute card with you today from Design Team Member, Samantha Mann! I just love how she wrapped the background to mirror the wrapping on the Mummy Bear from the Boo Crew Stamp set. Too Cute!! The coloring on the bear is awesome too! I think this is my favorite card from this set so far! 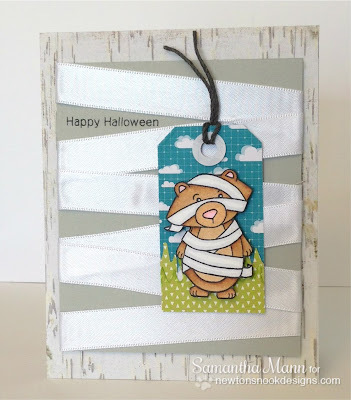 Make sure you head over to Sam's blog, Sams Scrap Candy, today and tell her how cute this card is! 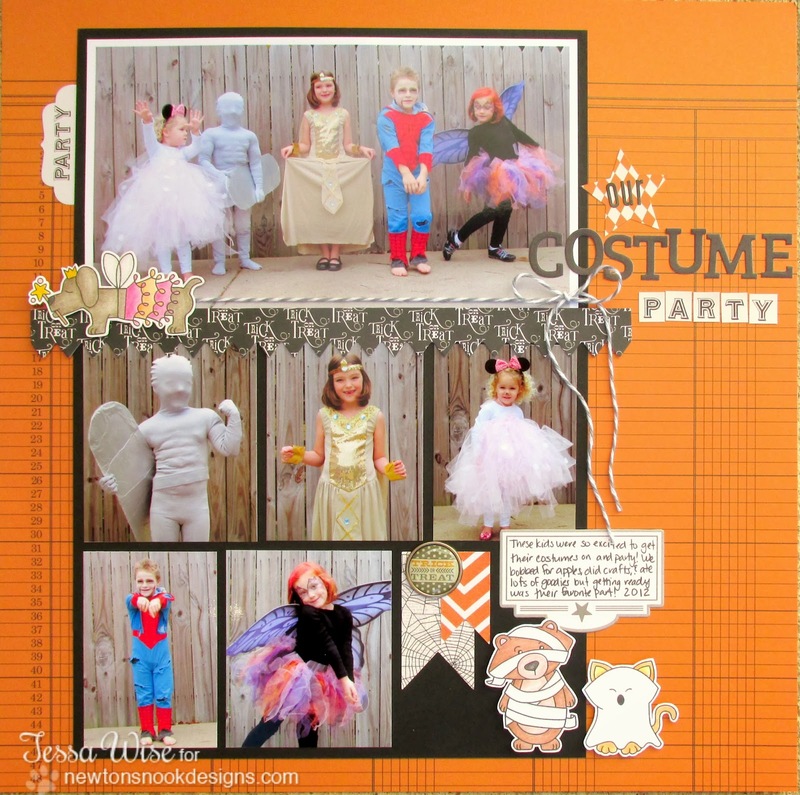 Do you have the Boo Crew set, or any other set from Newton's Nook Designs? According to the calendar, Autumn started officially on Sunday so it's only appropriate that today I'm sharing this gorgeous happy harvest card by Guest Designer Kim Singdahlsen! 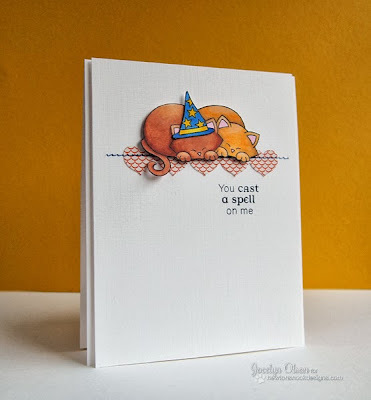 Kim has created some awesome cards for us as guest this month and this one is no exception! 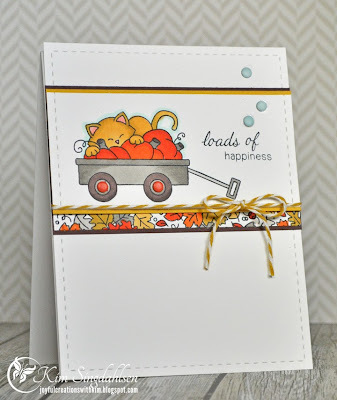 Isn't it cool how she colored the wagon from the Wagon of Wishes stamp set with the neutral greys and mixed in some bright Autumn tones? 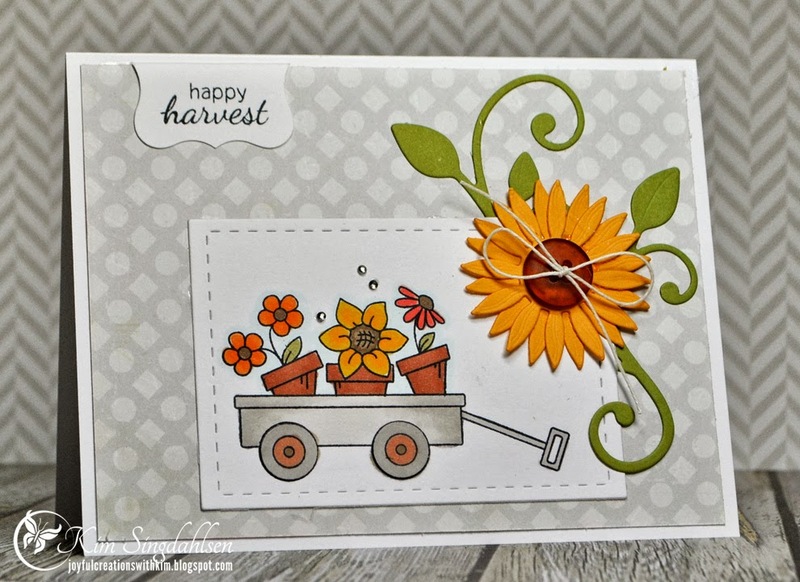 That die-cut flower coordinates perfectly with the sunflower in the wagon! So pretty! Thanks so much to Kim for being our guest this month! We really enjoyed having you! I haven't had a lot of time to do 3D items lately but it is something I definitely love to do - so last week when I was at the local craft store and saw these little take-out containers on clearance I knew I had to use them for some Halloween goodies! 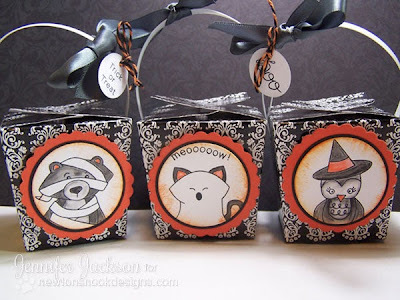 These boxes came with a fun black and white pattern already on them so all I needed to do was add some embellishment! 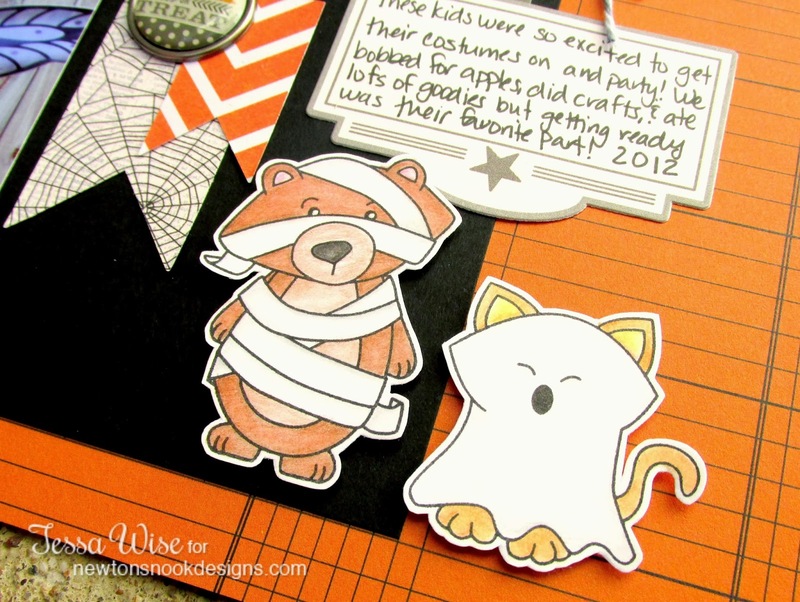 I pulled out the Boo Crew Stamp set and stamped some of my favorite friends in their Halloween costumes. Then I colored them fairly monochromatic with Orange and Black Inktense colored pencils (using a blender pen to smooth the colors). I punched them out with a circle punch and sponged the edges with some orange ink. Then I framed them with slightly larger black circles and orange scalloped circles. I added them onto the boxes with dimensional dots. Then I thought the handles needed a little love too so I added some ribbons and little sentiments punched out into ovals! Aren't they just so sweet? Now off to find some Halloween candy to fill them with! Hope you are enjoying all the fun inspiration using the Magical Dreams stamp set! I am having so much fun making cards with this set. 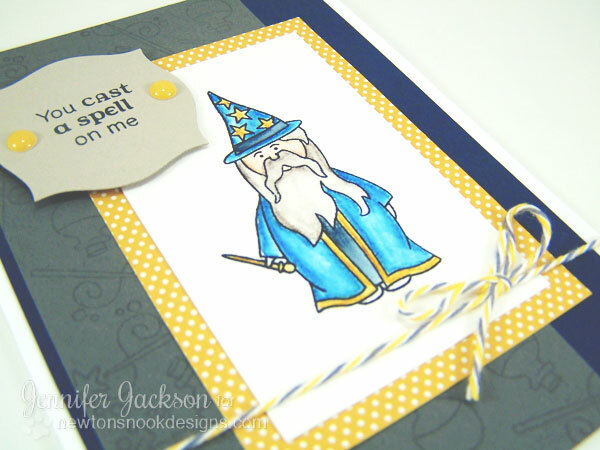 This little wizard guy is so much fun to color. 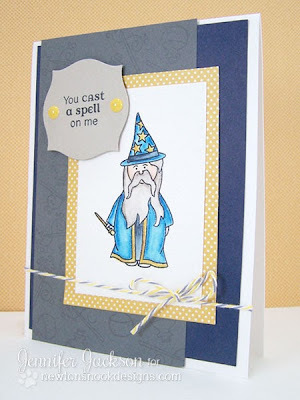 Did you know this wizard is the first "person" stamp I have drawn? What do you think? I usually like illustrating animals better than people but once in awhile it's fun to draw a person too -- especially if they're in costume! 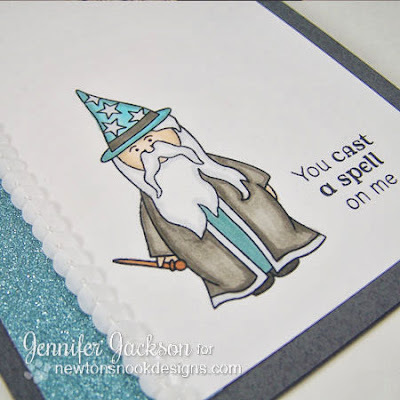 To make this card I colored the wizard with Inktense Watercolor pencils and water on watercolor paper. I love how vibrant that blue is! Do you have any Newton's Nook Designs Stamps? 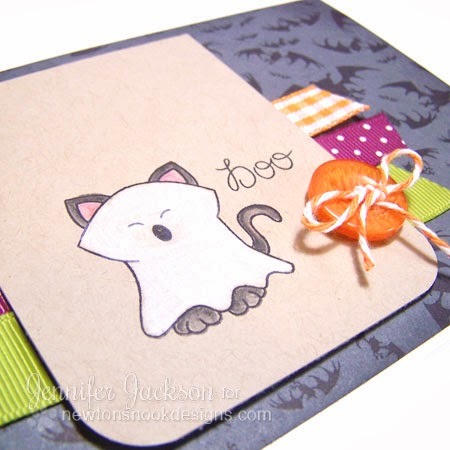 Don't forget to enter our Inky Paws Challenge! We hope you'll play along! 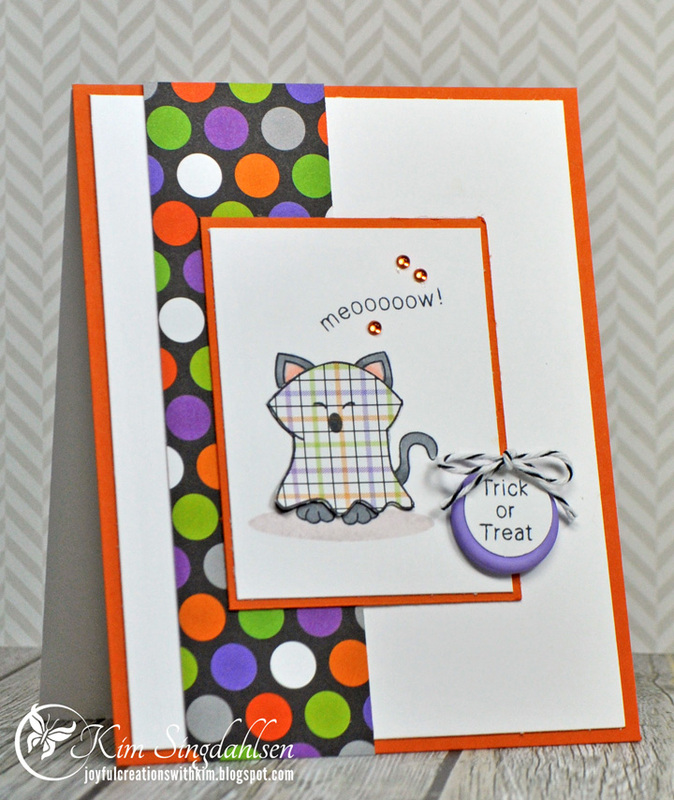 You have until Oct 4 to play along with the sketch on our Inky Paws challenge for a chance to win a prize! 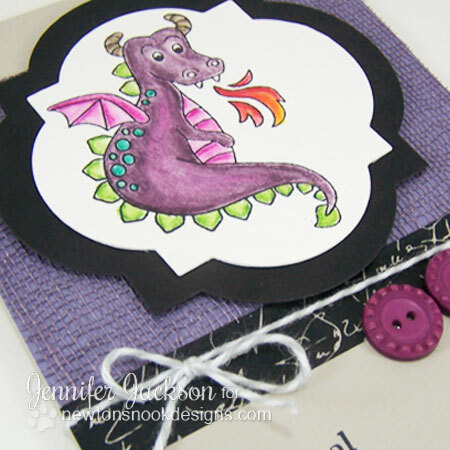 If you don't have a stamp set yet, no problem, there is a digital freebie on the our first challenge page for you to use! 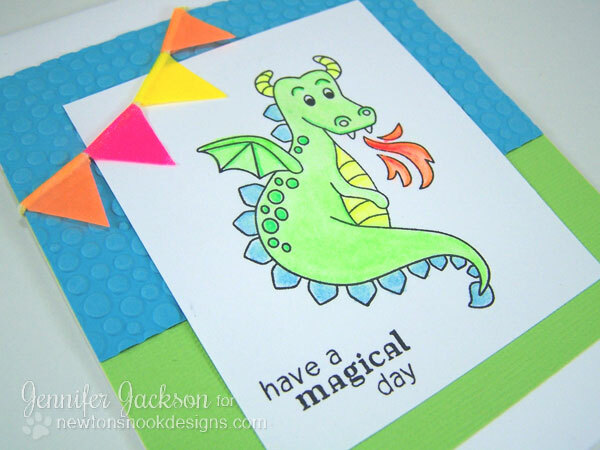 When I think of dragons and magic, neon is not the first thing that usually comes to mind but for some reason I thought it would be fun to color this dragon from the Magical Dreams stamp set with my neon colored pencils - and I LOVE how it turned out! This card is so much fun! I actually had some neon colored washi tape too (imagine that - I think I'm a washi tape addict now). I used the washi tape to make those cute little pennants. I just wrapped it over a piece of twine and clipped it into triangles with a scissors! Cool, huh? Hope you're having a great Saturday - Jeff and I are checking out Scrapfest at the Mall of America today! Hoping to meet some new friends and get some inspiration! Do you know what today is? It's the first day of #03 Inky Paws Challenge! Post your project to your blog or to an online photo gallery such as Flickr or splitcoaststampers (on splitcoast please use keywords newtonsnook and IPC03). You have two weeks to play along. Deadline to enter is Friday, October 4th, 2013 at Midnight CST. 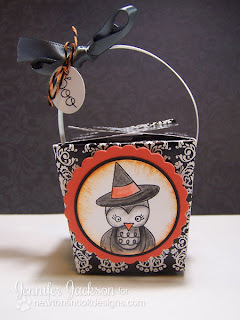 The winner will be announced on the NND blog on Monday, October 7th. 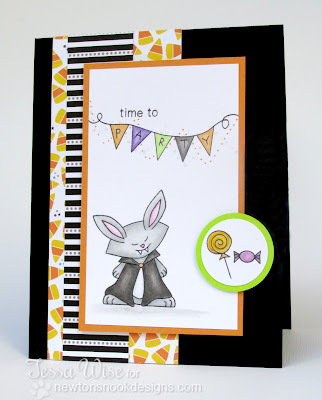 This challenge card by our guest designer Kim Singdahlsen makes me smile! I love the cute paper piercing on the ghost kitty from the Boo Crew stamp set! So fun! Check it out - Harry Potter Fans! 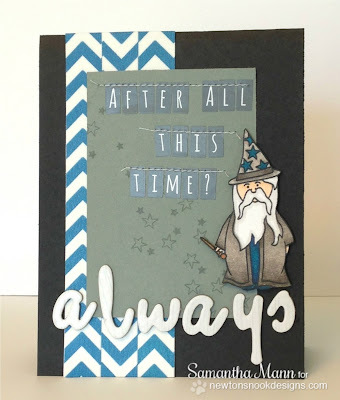 Design Team Member Samantha Mann played along by creating this this Harry Potter inspired card using Magical Dreams! Design Team Member Tessa Wise played along by creating this fun Halloween Party Card by combining the bunny from Boo Crew and the party banner from Winged Wishes! 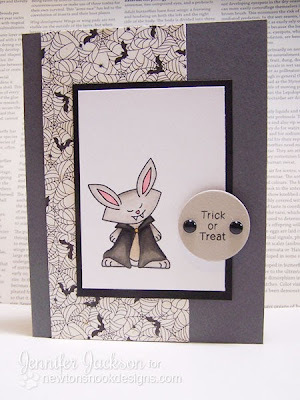 Here's one by me - a quick monochromatic bunny vampire card using some cute spider web paper and the new Boo Crew Stamp Set. Another one by me. 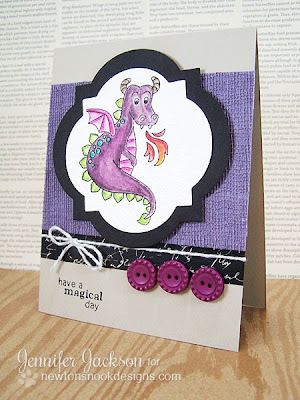 This time I used the dragon from the new Magical Dreams Stamp Set. I colored him with inktense watercolor pencils on watercolor paper and used a button for the circle! 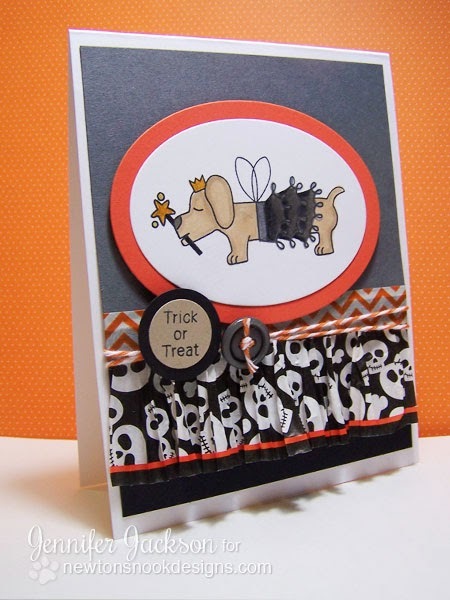 Did you notice this cute "doxie" pup on the latest stamp set, Boo Crew? There have been a few fans out there asking for some puppy friends for Newton and here is the first one! 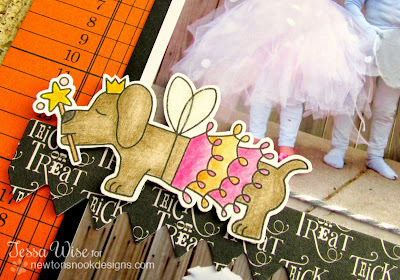 I love how cute this little gal is, all dressed up in her tutu! Instead of making a traditional Halloween card I decided to combine the doxie pup with the magic wand stamp and "you cast a spell on me" stamp from the Magical Dreams stamp set to create this cute card. You could use it for Halloween or Birthday or just for fun! I love creating stamps that can be used for multiple reasons! That way you get more for your money! I colored in the doxie with copic markers and added some glitter with a glitter pen on the wings and tutu... You can't really see that in the picture! I finished off the card with some washi tape and copper twine! It's starting to get a bit chilly here in Wisconsin this week. 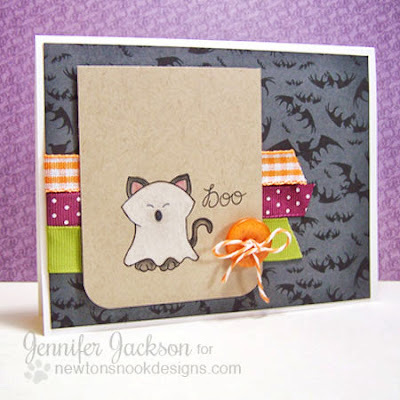 It's making me get excited for Fall -- and today I have the perfect Fall card to share! This super sweet card was made by Guest Designer this month, Kim Singdahlsen! Kim used the set, Wagon of Wishes to create this adorable Fall card. I love how she stamped and colored the leaves from the set and trimmed them out to look like a piece of patterned paper - what a fun idea! Thanks so much to Kim for the beautiful Fall inspiration! 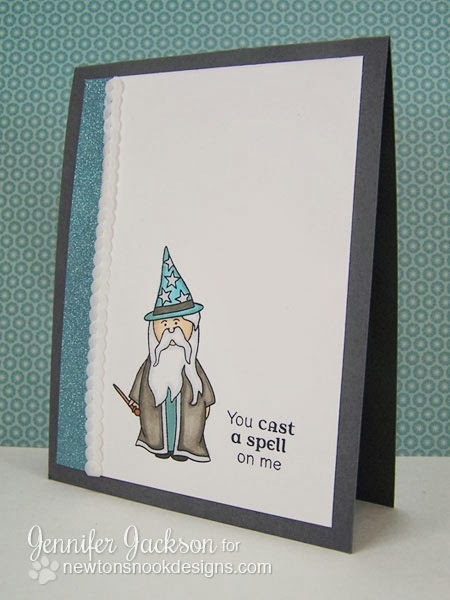 But I'm hoping by posting this fun card today it will help yours feel a little bit more magical! I have been have a lot of fun coloring this Dragon from the Magicial Dreams stamp set! There are just so many fun possibilities! For this one I colored him with Inktense colored pencils on Watercolor paper. (LUV those pencils). I used purples and pinks with a pop of teal just for fun! Then I cut him out using a big shot die and made this fun card with him. Isn't that paper cool? It's called "gauze"paper - I thought it would be perfect for Halloween/magic cards! I also added some washi tape, twine and buttons! I have lots of buttons that I need to stop hoarding and start using! LOL!